As part of International Day of UN Peacekeepers, the United Nations (UN) will on Wednesday honour four Egyptian peacekeepers among more than 100 blue helmets killed in the line of duty in 2012. Themed “UN Peacekeeping: Adapting to New Challenges,” the day marks the fifth successive year the UN has honoured its peacekeepers who have died while serving the cause of peace, read a UN statement on Saturday. Three of the Egyptian servicemen were killed while serving the UN in Congo and one was killed in Darfur. “To meet emerging threats and rise to new challenges, United Nations peacekeeping is adapting its policies to better fulfil its mandates to bring lasting peace to war-torn countries,” said Secretary-General Ban Ki-moon. According to the statement, there are nearly 80,000 military personnel, 12,500 police officers and 17,000 international civilian and national staff serving in 15 peacekeeping operations on four continents. "We salute their bravery and mourn their passing," said Ban. “[And] we acknowledge that peacekeeping will always carry risks." "Unidentified assailants have recently ambushed and killed peacekeepers in the Democratic Republic of the Congo, Sudan and South Sudan, while blue helmets serving in the Middle East have been detained," he added. According to Ban, 111 peacekeeping personnel were killed in 2012, while more than 3,100 have lost their lives over the UN’s 65-year history of peacekeeping. 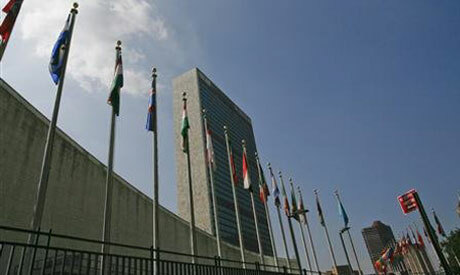 The day will feature events at the UN headquarters in New York on Wednesday. This will begin with a wreath-laying ceremony in the visitors lobby. It will be followed by another ceremony where 103 military, police and civilian personnel will be posthumously awarded the Dag Hammarskjöld Medal. Medals will be received by representatives of the respective Permanent Missions and then passed on to their relatives. Military and police officers currently serving in the Department of Peacekeeping Operations will also be awarded medals by Under-Secretary-General for Peacekeeping Operations Hervé Ladsous. Events will be broadcast on UN webcast webtv.un.org.